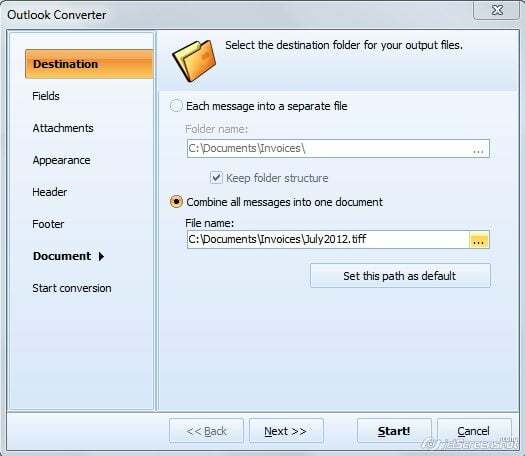 There is no email conversion tool built into Microsoft Outlook. It's impossible to export messages to graphic formats inside the program. 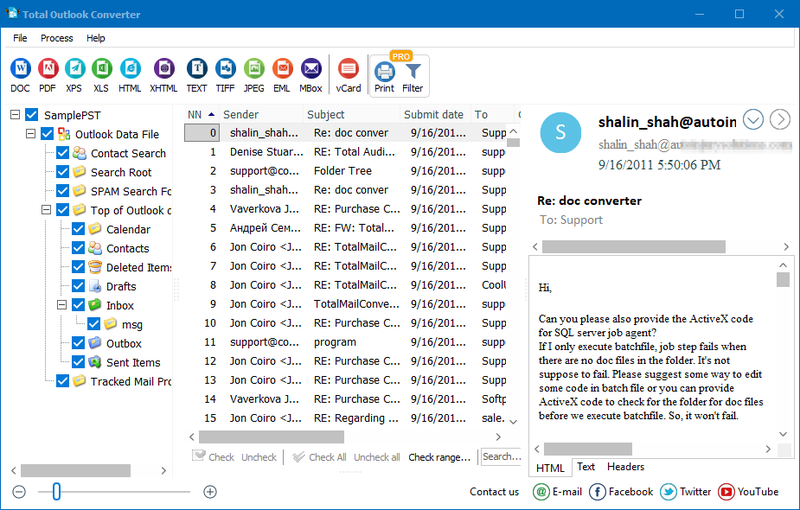 However, you can use Total Outlook Converter. This program can turn emails into JPEG or TIFF images. 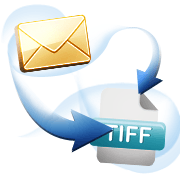 As TIFF is a multi-page file type, you can convert many messages into one multi-page TIFF file that is more comfortable for storage. TIFF format is rather big in size and takes much of your memory. To make it more compact you can specify the fields that you don't need to be converted. For instance, it can be a date, subject or recipient. Without this information TIFF copy will be much smaller. Total Outlook Converter also offers various types of compression that also helps to save on the file size. 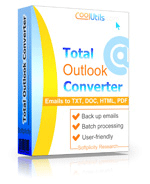 Total Outlook Converter has a lot of useful options for creating email copies for local use. 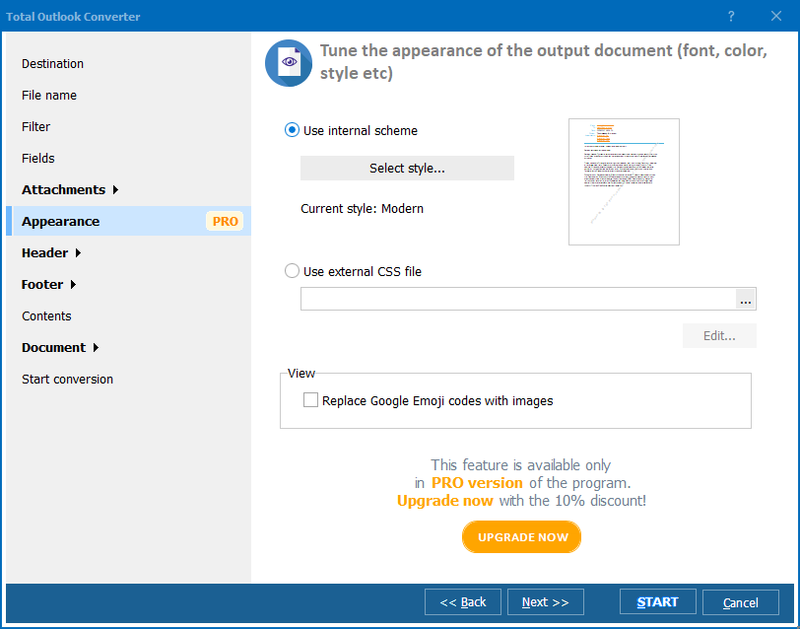 You can convert emails to texts, documents, images and even HTML pages. 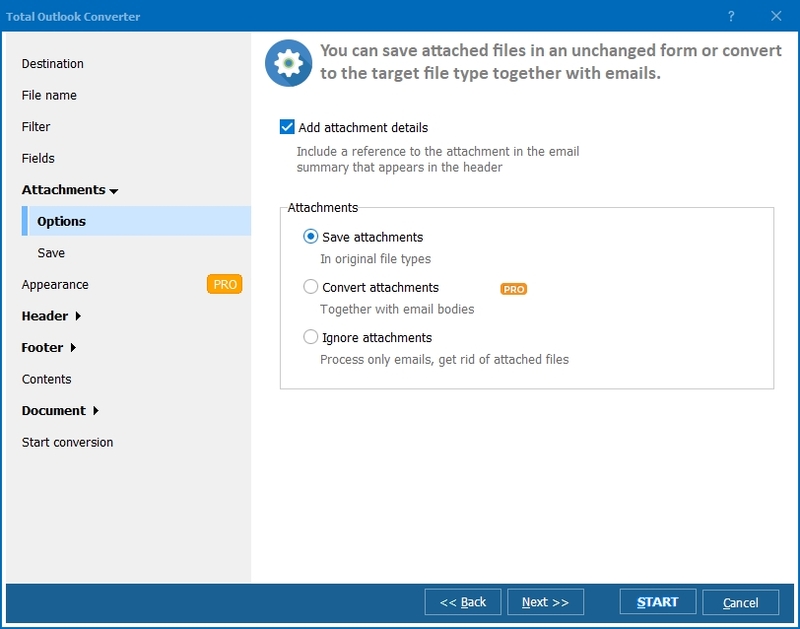 Flexible settings for each format helps to get messages converted in the right way, without any post-editing needed. Download 30-day free Total Outlook Converter version for testing!